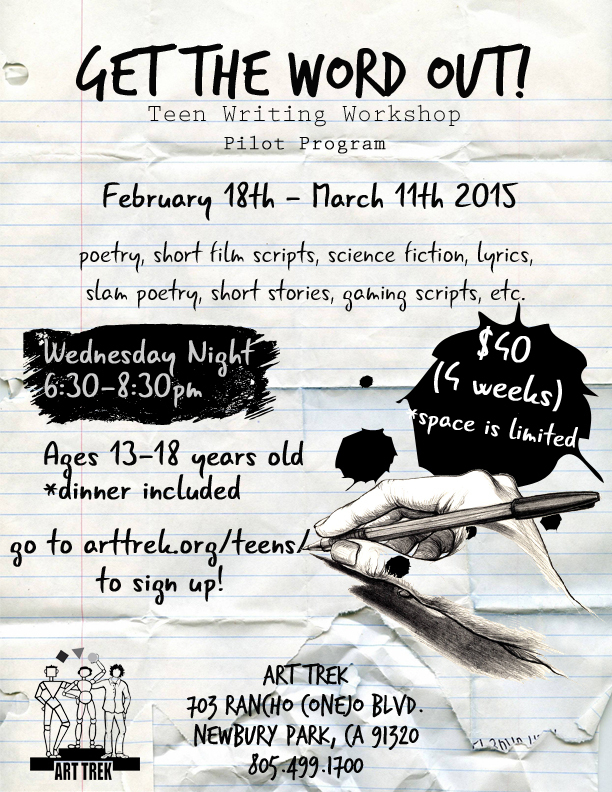 Art Trek is having their first Teen Writing Workshop! CSU Channel Islands student, Justin Dover will be leading the workshop. He mostly enjoys writing fiction but he couldn't help being inspired by the unique environment of an arcade he used to frequent. Below is his poem "Giving No Quarter" which was published in The Island Fox -Literary Journal 2014 from CSU Channel Islands. housed within the plastic arcade cabinet shells. into the realm of obscurity. Posted on February 5, 2015 by Cordelia Miller and tagged Teen Writing Workshop Get the Word Out February 2015 March 2015 Justin Dover poetry fiction nonfiction writing.